Here is an oval, gold trimmed porcelain vase from the ‘Precious Moments’ Collection. 1978 Jonathan & David Lic. Enesco Imports, Made in Japan. 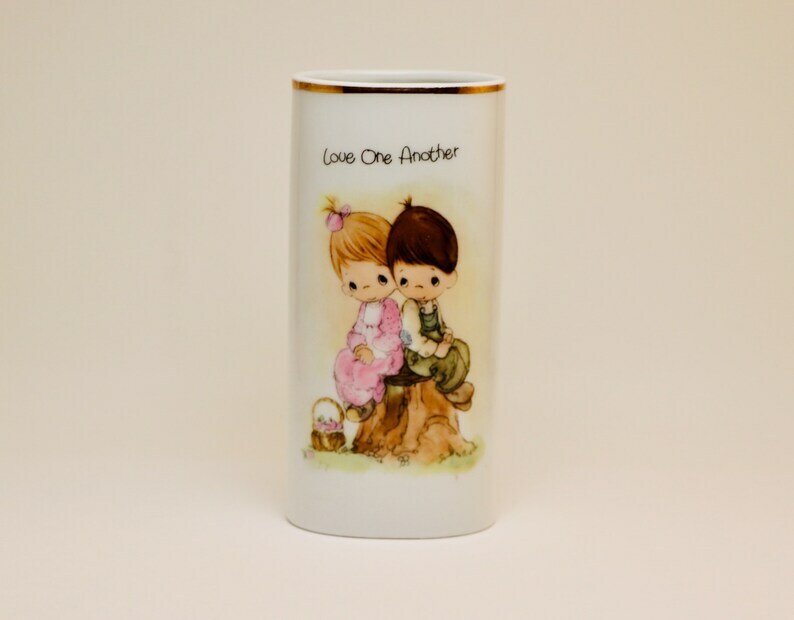 This vase has an adorable image of a boy and girl with the words ‘ Love One Another’ on the front. It is in good vintage condition with very little ware. A great gift to go with that bouquet of flowers for her!